At First Assembly, we believe in the power of evangelism and the power of God's love! 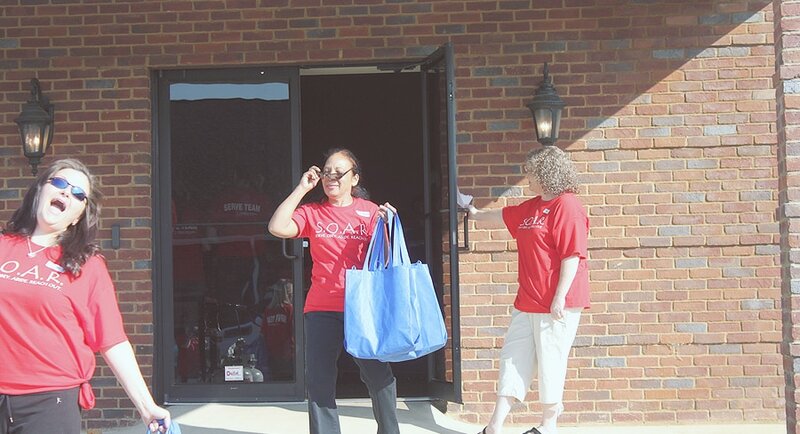 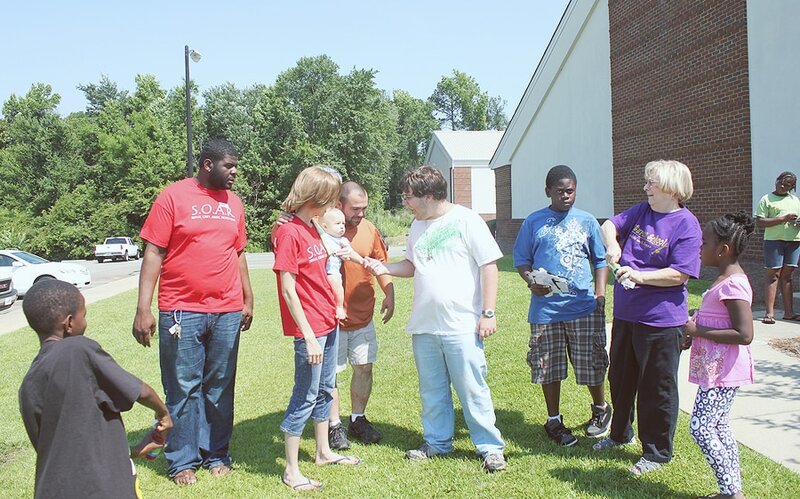 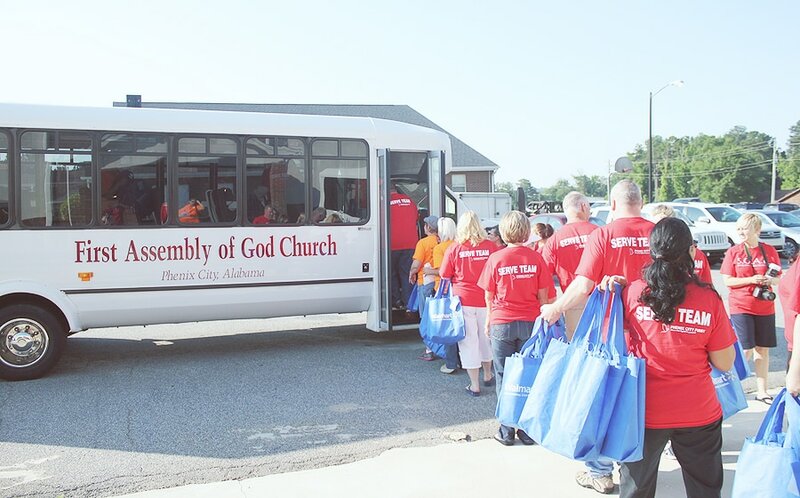 Every month, we offer outreach ministries to our church to go and love on this community. 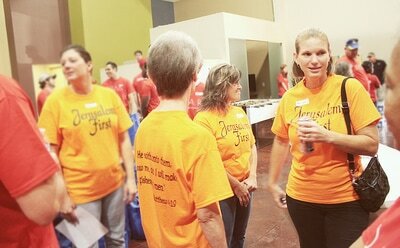 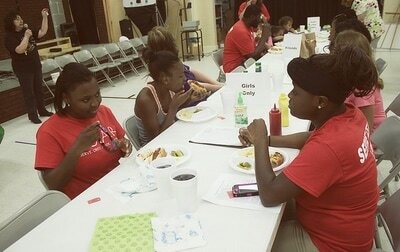 Saturday School - Saturday School is our inner city ministry of First Assembly of God. 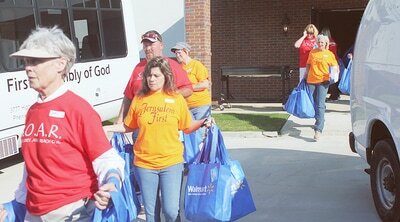 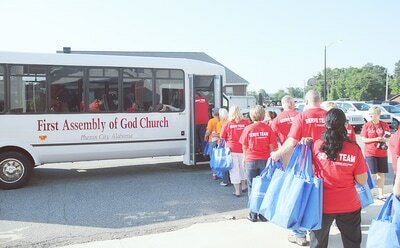 We bus kids in from the less fortunate areas of our town, feed them and give them the Word of God. 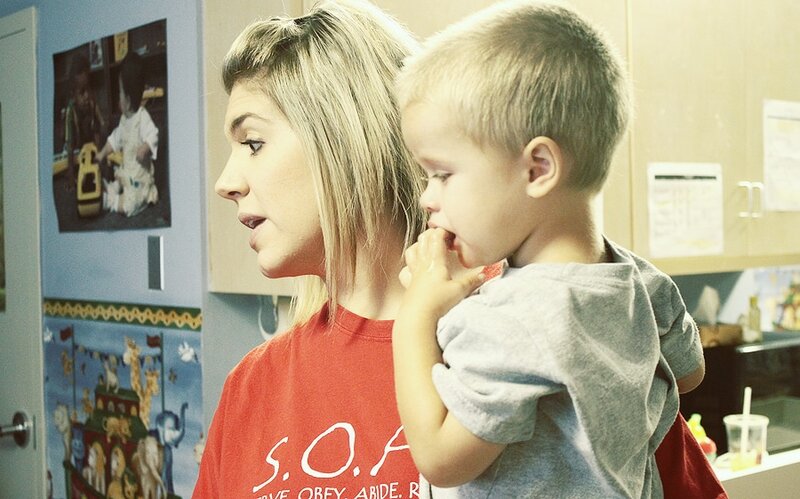 We make it a safe environment for all kids that come in where they can learn about Jesus and His love for them. Food Bank - Once a month, we open the doors of our church and feed everyone, who comes, that is hungry. 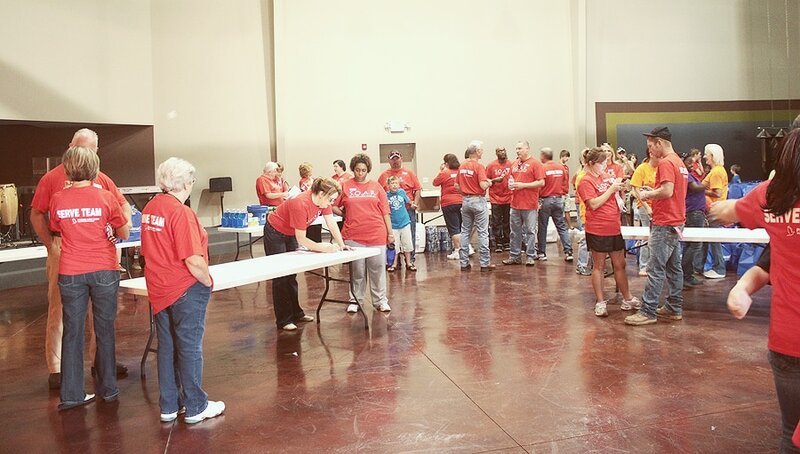 People from al over the area come and pick out the food they want to take home with them, free of charge! 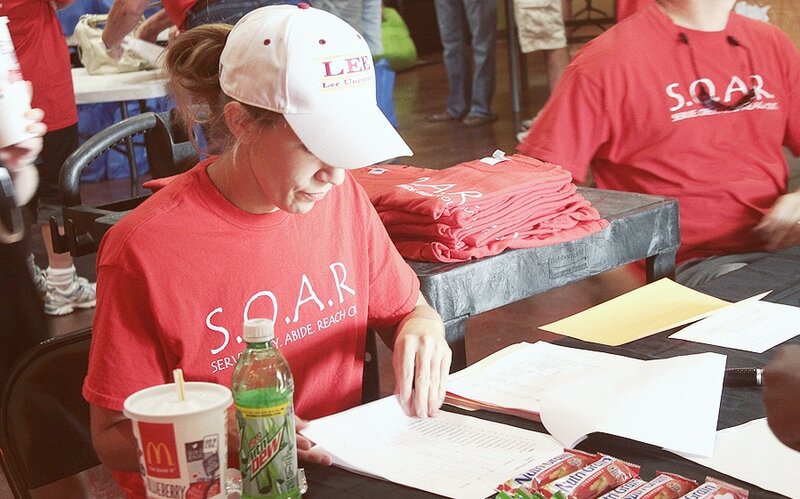 S.O.A.R. - Stands for: Serving Others And Reaching Out. 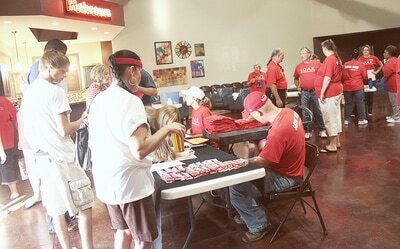 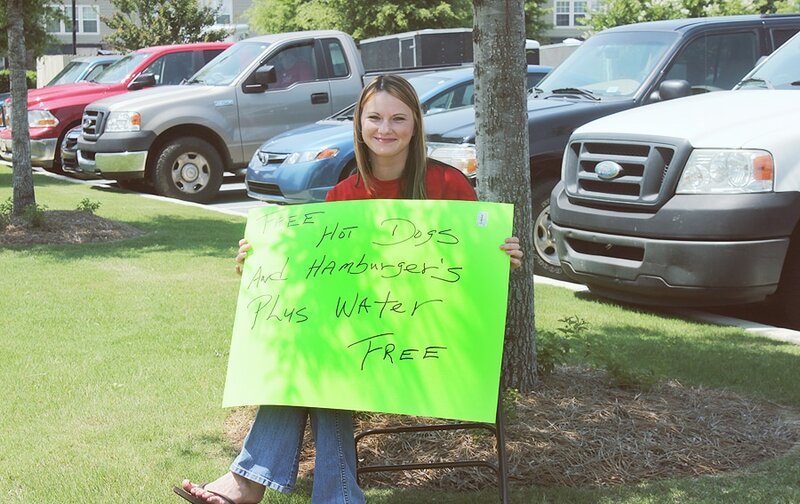 This is an outreach we do once a year, where we go out into the community and bless our neighbors. 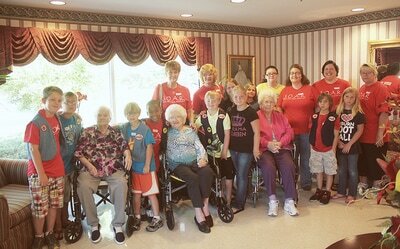 We take food to elderly people, police officers, and firemen. 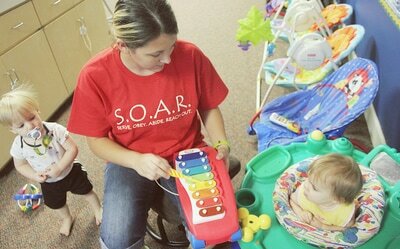 We visit Children's Hospitals, and people in the church who have been dealing with sickness. We pass out free food and drinks at certain locations. We have a free car wash. And also pick up liter. 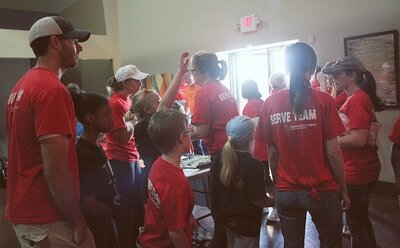 There's a lot that we do during this particular outreach. 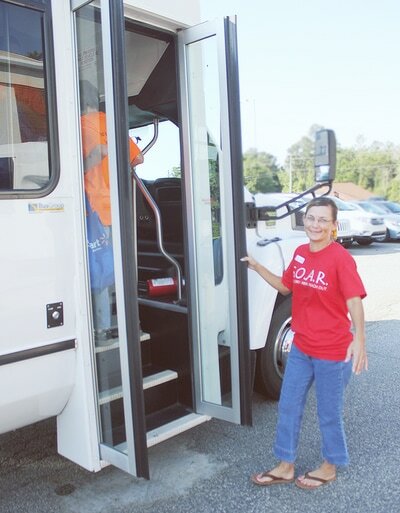 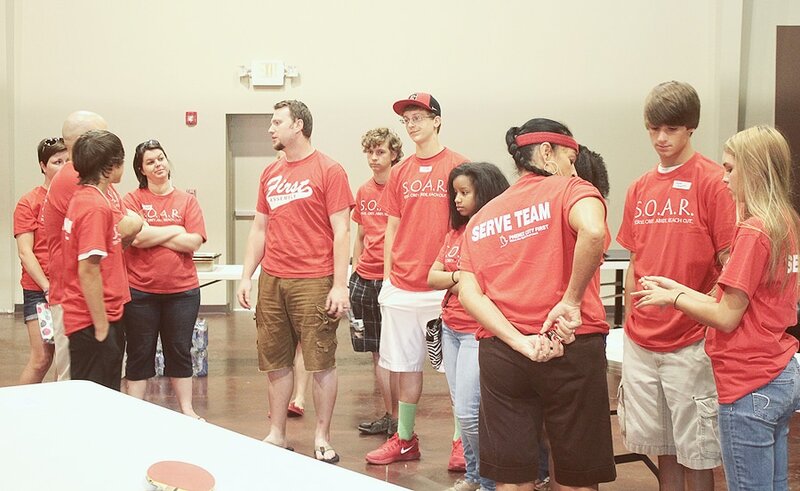 Our goal is to serve the community, reach out to those who are in need, and show everyone the love of Jesus. 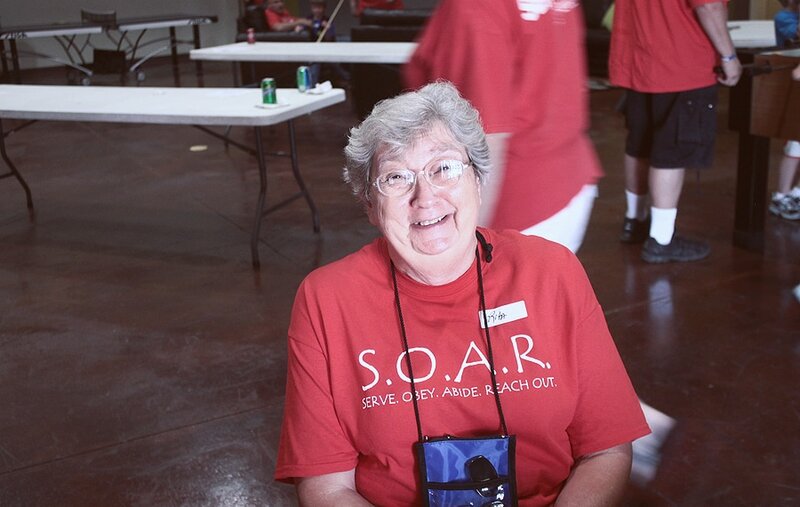 S.H.A.R.P. - Sharing Hope And Restoring People - Is our ministry led by Philip and Dorthea Williams. 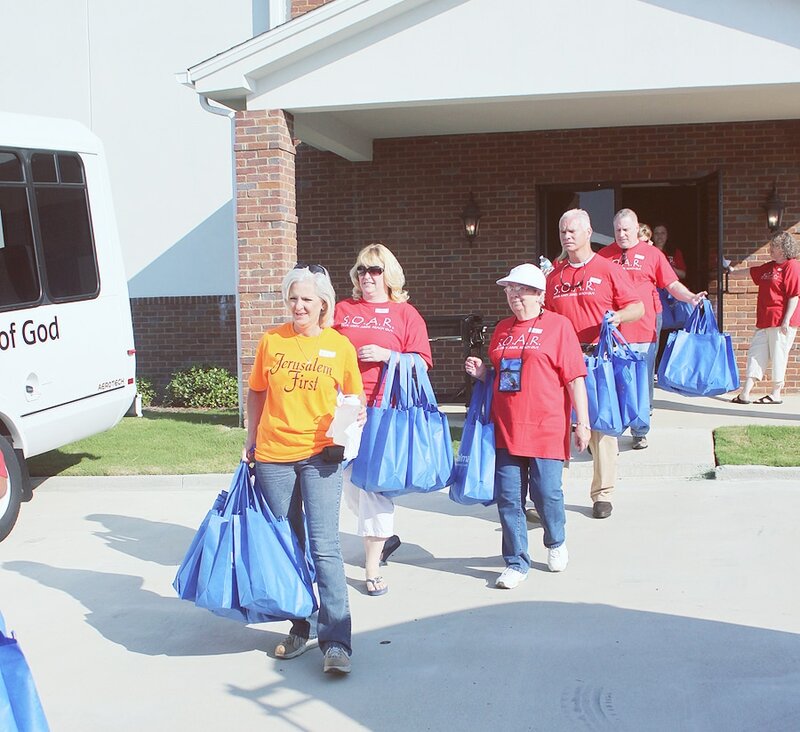 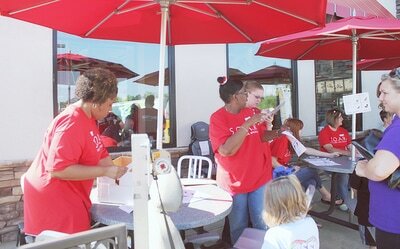 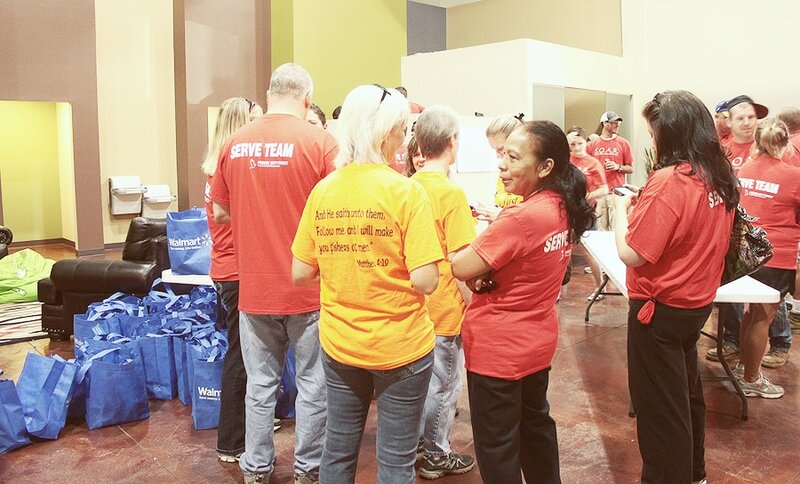 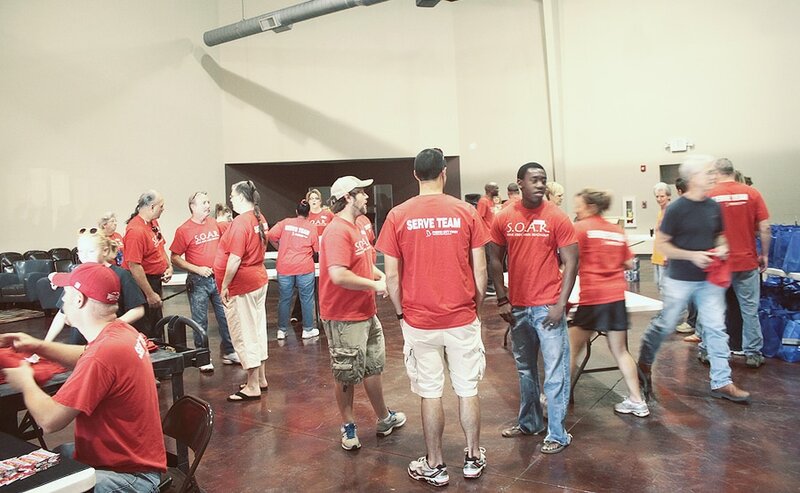 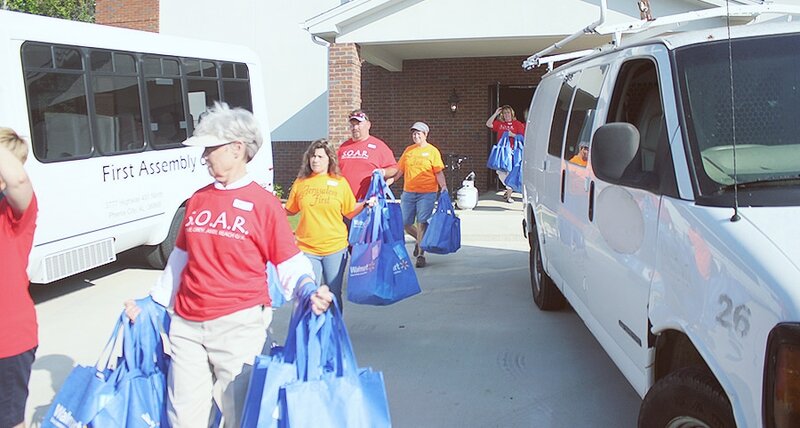 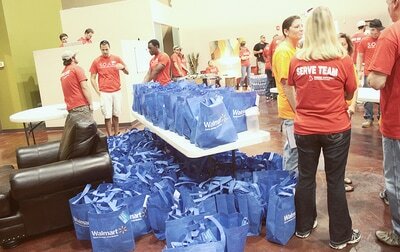 Twice a month, their team prepare meals and deliver them to families in need. 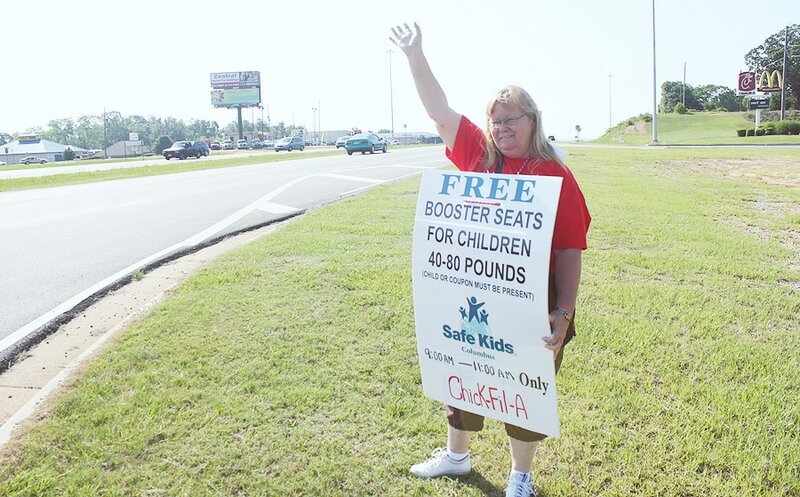 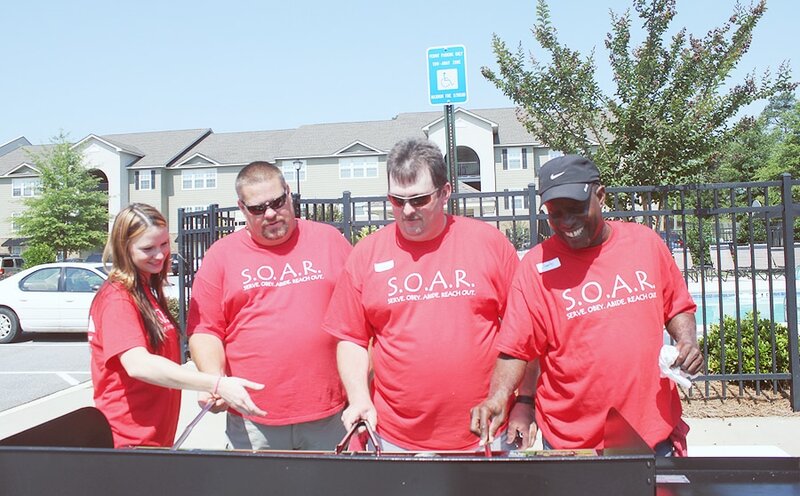 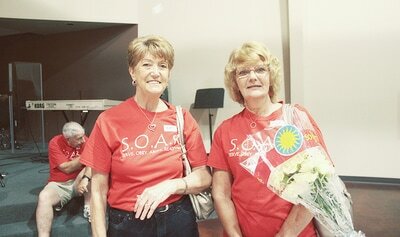 They are also a branch of our SOAR outreach.